This autoflowering version of our top-performing Green AK XL is a good choice for growers seeking the fast thrill of pushing a strain from seed to harvest in less than 70 days. Our autoflowering version of AK-47 is exceptionally fast and delivers a product that features a lot of characteristics that can also be found in the feminized version. Autoflowering genetics decreased the THC levels by only 4% but increased the overall growing speed significantly. When things need to get done fast, Green AK Autoflowering is your best friend. Growing this variety is relatively easy. For fastest results, we advise our growers a lighting regime of 20/4 to take advantage of the autoflowering genetics by still giving the plants some time to rest. Short life cycles of 60-70 days can be achieved this way. Green AK XL Autoflowering doesn’t exceed heights of 60-90cm when grown under artificial light. 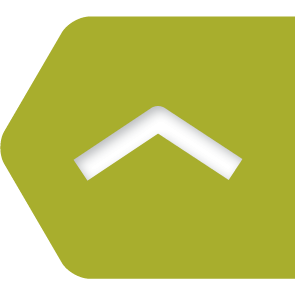 Indoor yields of up to 400-450g/m² can be expected when growing variables are ideal. Guerrilla- and outdoor farmers can expect plants that are easy to hide from prying eyes, usually with heights of 70-110cm. Plants that are exposed to good climatic conditions yield between 100-150g per plant. The taste is quite similar to our feminized version of AK. Aromas are very refreshing and delightful, being predominantly fruity. When taking a close look at the whole range of aromas, one also finds noticeable hints of pine tree, giving the flavours a Mediterranean touch. The effect varies just a little bit from the feminized version. It still has the euphoric elements that made AK-47 an international success but is more relaxing, so expect more of a hybrid-stone. Growers who fear to not get the desired effect from our autoflowering strains can be assured that Green AK XL Autoflowering didn’t lose its penetrating power. The potency is still at a high level with 14% of THC. There are times in life when being fast is everything. 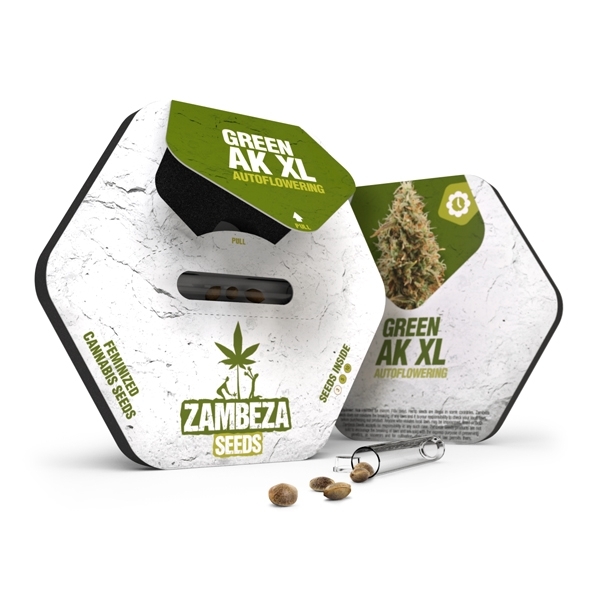 Indoor- and outdoor growers who want a short life cycle and proven genetics from our Green AK XL, should try and see what our autoflowering version is capable of doing. It’s fully automatic and produces dank buds at a rapid pace. 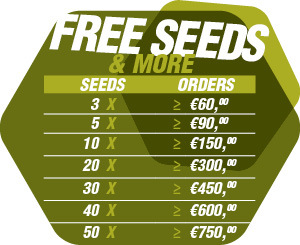 Why waste time and money on overpriced and weakly performing seeds, when you can have Green AK XL Autoflowering? Zambeza Seeds focuses on quality first, and then tries to cut down unnecessary costs to offer you high-quality seeds at a competitive price. Comment : Really good genetics.Nice smelly flowers.only outdoor experiance in northern climate.mostly indica var. Comment : Almost impossible but true, will send photos, I got 4x 100% female plants out of 3 seeds, one of em was containing 2 siblings. We are now into the 3rd week of flowering, the smell and bud size are great. Comment : 100 % Keimrate, kräftige Pflanzen!